You are here: Home > Author Pages > Jance, J.A. 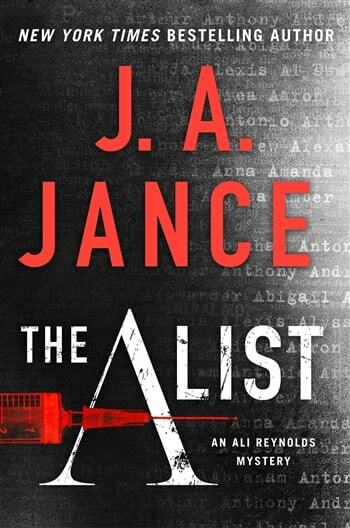 VJ Books Presents Author J.A. Jance! Judith Ann (J.A.) 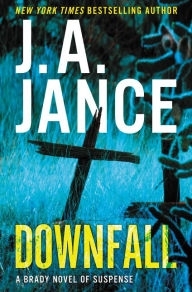 Jance was born on October 27, 1944. She is an American author of mystery and horror novels. She writes four series of novels, centering on retired Seattle Police Department officer J. P. Beaumont, Arizona county sheriff Joanna Brady, the Walker Family stories set on the Tohono O'odham reservation, and ex-TV Journalist Ali Reynolds. In Partner in Crime and Fire and Ice, Beaumont and Brady's stories intersect. A voracious reader, J. A. Jance knew she wanted to be a writer from the moment she read her first Wizard of Oz book in second grade. Always drawn to mysteries, from Nancy Drew right through John D. McDonald's Travis Magee series, it was only natural that when she tried her hand at writing her first book, it would be a mystery as well. 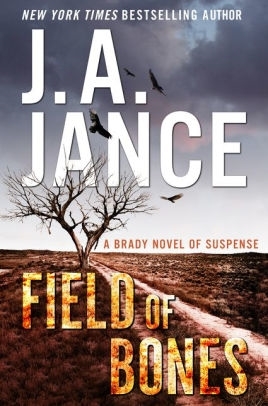 Jance was born in Watertown, South Dakota and raised in Bisbee, Arizona, the setting for her Joanna Brady series of novels. She is a graduate of the University of Arizona. Before becoming an author, she worked as a school librarian on a Native American reservation, as a teacher, and selling insurance. 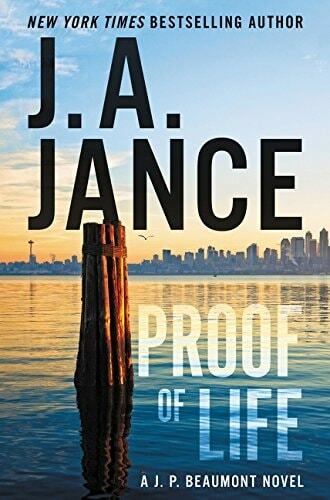 Jance uses her initials for her pen name because a publisher told her that disclosing her gender would be a liability for a book about a male detective. Author Signed Hardcover Book. April 2019 NY: Touchstone First edition, first printing, mint, new/unread in a flawless dust jacket, signed by the author. Each dust jacket is protected in an acid-free archival quality acetate cover. Author Signed Hardcover Book 2013 NY: Morrow First edition, first printing, fine in a fine dust jacket,signed by the author, remainder marked. Each dust jacket is protected in an acid-free archival quality acetate cover. Author Signed Hardcover Book September 2013 NY: HarperCollins First Annotated Edition, first printing, mint, new/unread in a flawless dust jacket, signed by the author. Each dust jacket is protected in an acid-free archival quality acetate cover. Author Signed Hardcover Book. July 2011 NY: HarperCollins First edition, first printing, mint, new/unread, flawless dust jacket, signed by author. Each dust jacket is protected in an acid-free archival quality acetate cover. Author Signed Hardcover Book. 2001 NY: Morrow First edition, first printing, fine in a fine dust jacket, signed by author, remainder marked. Each dust jacket is protected in an acid-free archival quality acetate cover. 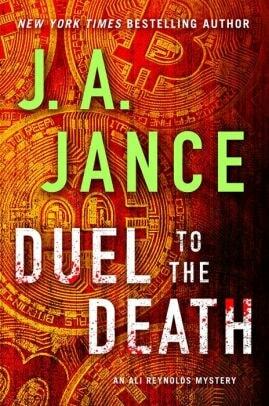 Author Signed ARC. 1999 NY: Avon Advance reading copy, mint, new/unread in flawless wrappers, signed by author. Author Signed Hardcover Book. 1999 NY: Avon First edition, first printing, mint, new/unread, flawless dust jacket, signed by author. Each dust jacket is protected in an acid-free archival quality acetate cover. Author Signed Hardcover Book. March 2016 NY: Touchstone First edition, first printing, mint, new/unread in a flawless dust jacket, signed by the author. Each dust jacket is protected in an acid-free archival quality acetate cover. Author Signed ARC 2015 NY: Touchstone Advance reading copy, mint, new/unread in flawless pictorial wrappers, signed by the author. Author Signed Hardcover Book. March 2015 NY: Touchstone First edition, first printing, mint, new/unread in a flawless dust jacket, signed by the author. Each dust jacket is protected in an acid-free archival quality acetate cover. Author Signed Hardcover Book. December 2008 NY: Simon & Schuster First edition, first printing, mint, new/unread in a flawless dust jacket, signed by the author. Each dust jacket is protected in an acid-free archival quality acetate cover. Author Signed Hardcover Book. 2008 NY: Touchstone Special hardcover advance edition, first printing, mint, new/unread, flawless dust jacket, signed by author. Each dust jacket is protected in an acid-free archival quality acetate cover. Author Signed ARC 2015 NY: Morrow Advance reading copy, mint, new/unread in flawless pictorial wrappers, signed by the author. Author Signed Hardcover Book September 2015 NY: William Morrow First edition, first printing, mint, new/unread in a flawless dust jacket, signed by author. Each dust jacket is protected in an acid-free archival quality acetate cover. Author Signed Hardcover Book. 2004 NY: Morrow First edition, first printing. mint, new/unread in a flawless dust jacket, signed by the author. Each dust jacket is protected in an acid-free archival quality acetate cover. Author Signed Hardcover Book 2004 NY: Morrow First edition, first printing, fine in a fine dust jacket,signed by the author, remainder marked. Each dust jacket is protected in an acid-free archival quality acetate cover. Author Signed Hardcover Book. February 2013 NY: Touchstone First edition, first printing, mint, new/unread, flawless dust jacket, signed by author. Each dust jacket is protected in an acid-free archival quality acetate cover. Author Signed Hardcover Book. 2000 NY: Morrow First edition, first printing, mint, new/unread, flawless dust jacket, signed by author. Each dust jacket is protected in an acid-free archival quality acetate cover. Author Signed Hardcover Book. September 2016 NY: HarperCollins First edition, first printing, mint, new/unread in a flawless dust jacket, signed by the author. Each dust jacket is protected in an acid-free archival quality acetate cover. Author Signed Hardcover Book. March 2018 NY: Touchstone First edition, first printing, mint, new/unread in a flawless dust jacket, signed by the author. Each dust jacket is protected in an acid-free archival quality acetate cover. Author Signed Hardcover Book. 2003 NY: Morrow First edition, first printing, mint, new/unread, flawless dust jacket, signed by author. Each dust jacket is protected in an acid-free archival quality acetate cover. Author Signed Hardcover Book. 1993 NY: Morrow First edition, first printing, mint, new/unread, flawless dust jacket, signed by author. Each dust jacket is protected in an acid-free archival quality acetate cover. Author Signed Hardcover Book. 1993 NY: Morrow First edition, first printing, fine in a near-fine (small flaw to front) dust jacket, signed by author. Each dust jacket is protected in an acid-free archival quality acetate cover. Advance Reading Copy. February 2011 NY: Simon & Schuster Advance reading copy, mint, new/unread in flawless pictorial wraps, author-signed bookplate laid in. Author Signed Hardcover Book. February 2011 NY: Simon & Schuster First edition, first printing, mint, new/unread in a flawless dust jacket, signed by the author. Each dust jacket is protected in an acid-free archival quality acetate cover. Author Signed Hardcover Book. February 2011 NY: Simon & Schuster First edition, first printing, fine in a fine dust jacket, signed by the author, remainder marked. Each dust jacket is protected in an acid-free archival quality acetate cover.